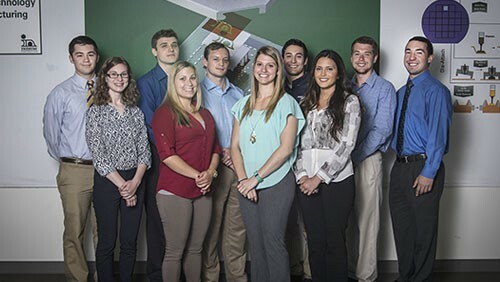 Indium Corporation, Utica's Technology Company®, announces 10 new students who comprise the company's 2016 college Internship Program. "These students will have a tremendous opportunity throughout these next 10 weeks," said Jim McCoy, Talent Acquisition Coordinator. "Our interns perform as meaningful members of our internal teams, which gives them a valuable experience." "Our internship program is one of the many ways that Indium Corporation continuously promotes STEM careers right here in the Mohawk Valley," said Dawn Roller, Director - HQ Services. "The talented students that we hire leave the program with valuable insights into the technology industry, real-world experience to build their resumés, and even a professional project for their portfolio."